The Foundation reflects Swiss Re’s social and humanitarian values. 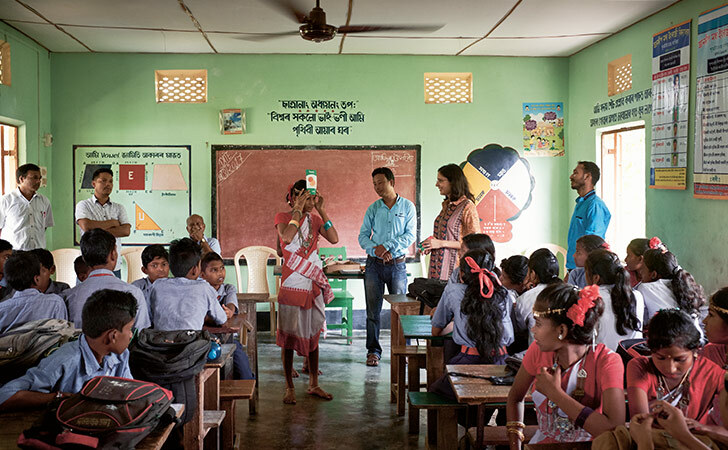 We partner with social entrepreneurs, aid organisations, researchers and Swiss Re employees and clients to help communities increase their resilience. Our initiatives address the causes and effects of risks in four areas – climate, natural hazards, water and society – both in emerging and developing countries and in regions where Swiss Re has offices. 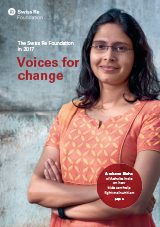 Swiss Re Foundation has worked with Ashoka India and its partners to tackle endemic malnutrition by developing and implementing a programme called Nourishing Schools. This initiative teaches children the importance of healthy food and empowers them as changemakers in their communities. We have refreshed our reporting approach, showcasing fewer initiatives in greater depth and letting powerful photography tell more of the underlying story.